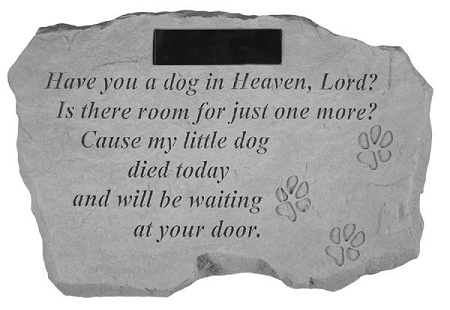 Home > Pets > Pet Memorial Stones > Personalized Dog Memorial Stone - Have You A Dog In Heaven.. This pet memorial rock makes a wonderful gift for those who have lost their beloved pet. 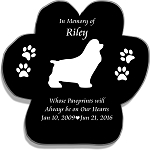 Dimensions: 16" x 10.5" x1.5"
Personalization is etched on a black marble plaque. The plate holds three lines with up to 21 characters per line.